MISSOULA, Mont.—The Rocky Mountain Elk Foundation awarded more than half a million dollars in grants to improve elk habitat and research, public access and hunting heritage efforts across the state of Wyoming. RMEF has more than 9,100 members and two dozen chapters in Wyoming. The $548,624 in funding goes toward 56 projects that benefit 11,570 acres of habitat across Albany, Big Horn, Campbell, Carbon, Converse, Crook, Fremont, Hot Springs, Johnson, Lincoln, Natrona, Niobrara, Park, Sublette, Sweetwater, Teton, Washakie and Weston Counties. Included in that total are several statewide and national projects. Remove encroaching conifers across 1,000 acres as part of a multi-year project to improve aspen health and early-seral habitat across 60,000 acres of Bureau of Land Management (BLM), Forest Service, state and private lands in the South Pass area of the Wind River Range. The area serves as crucial winter, transition and year-long range including calving grounds for elk, mule deer and moose as well as important summer range for sage grouse. Provide funding for a scientific study to examine the nutritional condition, reproductive success and diet of adult cow elk as well as survival and cause-specific mortality of calves in the high desert ecosystem of southwest Wyoming. Provide Torstenson Family Endowment (TFE) funding for scientific research to map the unknown migration paths of the Targhee elk herd which straddles the Idaho-Wyoming state line in the Greater Yellowstone Area. Data gathered via GPS satellite collars will help determine the herd's seasonal habitat use, health and survival, and reproduction rates. Provide funding that equates into approximately 48,000 acres of public access in the Access Yes program, a partnership between private landowners and sportsmen and women to create free, public access for hunting and fishing. RMEF contributions to Access Yes over the last five years total $87,500. Go here to see a complete list of RMEF’s 2018 projects in Wyoming. Since 1986, RMEF and its partners completed 742 conservation and hunting heritage outreach projects in Wyoming with a combined value of more than $137.5 million. These projects protected or enhanced 1,134,475 acres of habitat and opened or improved public access to 151,548 acres. Wyoming project partners include the Wyoming Game and Fish Department and Bureau of Land Management as well as other federal, state, sportsmen, civic, university and private organizations and foundations. 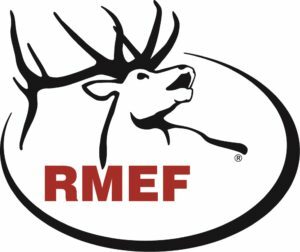 RMEF uses TFE funding solely to further its core mission programs of permanent land protection, habitat stewardship, elk restoration and hunting heritage.